Berlin is always changing and reinventing itself. New spaces for presentation are surfacing in the most unexpected places. Focusing on unusual architectural features and their interesting history we would like to offer you a short listing of exhibition and production places that caught our attention in recent years. Each of the places enjoys very special character on its own. When in Berlin make sure to visit at least some of them and do not be shy to write us with your own suggestions of what to add to the growing list. One of the most striking places we want to mention is Silent Green, an initiative that has found its seat at the Wedding Crematorium, an unusual building with architectural forms determined by original function. Today Silent Green presents a space for interdisciplinary art activities, a space for thought, research and experimentation. Its spatial characteristics offer a multitude of possibilities to combine all kinds of formats. One of its main parts is the Cupola, previously used as a mourning hall, which is the center of the building and is intended for concerts. In contrast, this old building has an underground vestibule, currently under renovation, which will hold exhibitions related to the art and cinematography. Silent Green also has the Cube, a large space divided into three areas for seminars and conferences as well as a cafeteria. If you are searching for an unusual location for your upcoming events, Silent Green is your place. It is definitely not a new space, but certainly one of the most attractive. Tieranatomisches Theater forms a part of the North Campus of the University of Humboldt in Berlin-Mitte, being one of the oldest academic buildings that still are conserved. Since its renovation in 2012, it is used as an exhibition and event space by Helmholtz Center for Cultural Technology at Humboldt University. 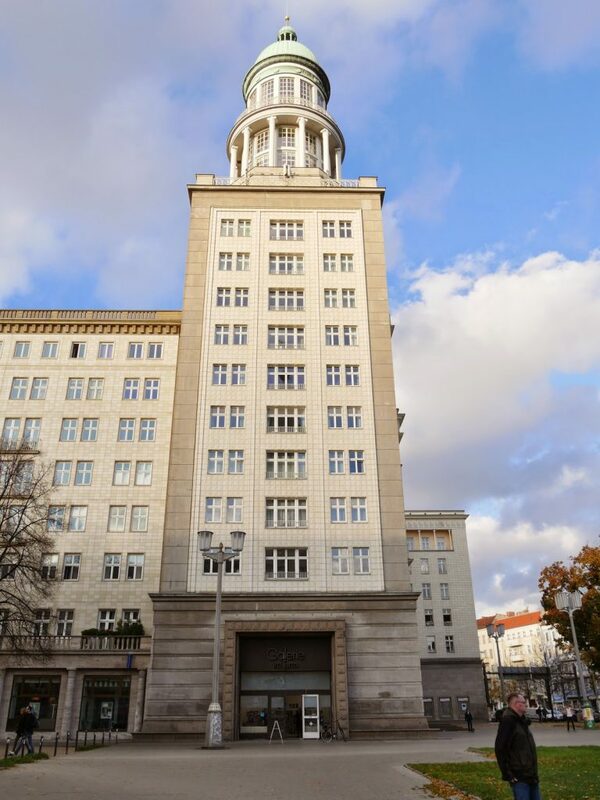 The building was designed by Carl Gotthard Langhans for the Faculty of Veterinary Medicine at the same time as the Brandenburg Gate. 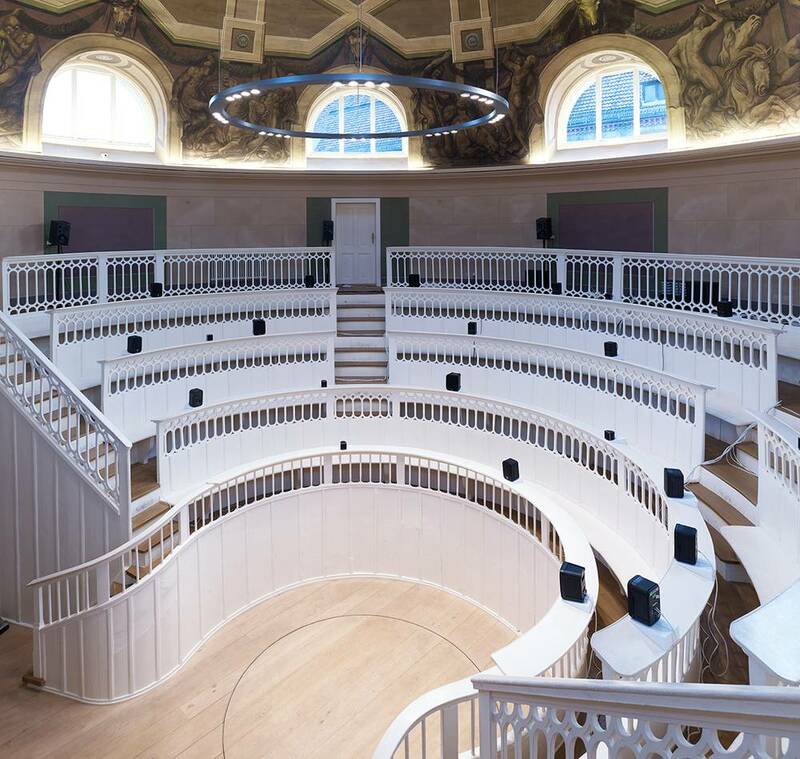 Probably the most unusual detail of the room, despite its amphitheater configuration, is that it has a circular flap through which the animals were moved to the center of the room for the dissection. An original space, no doubt. 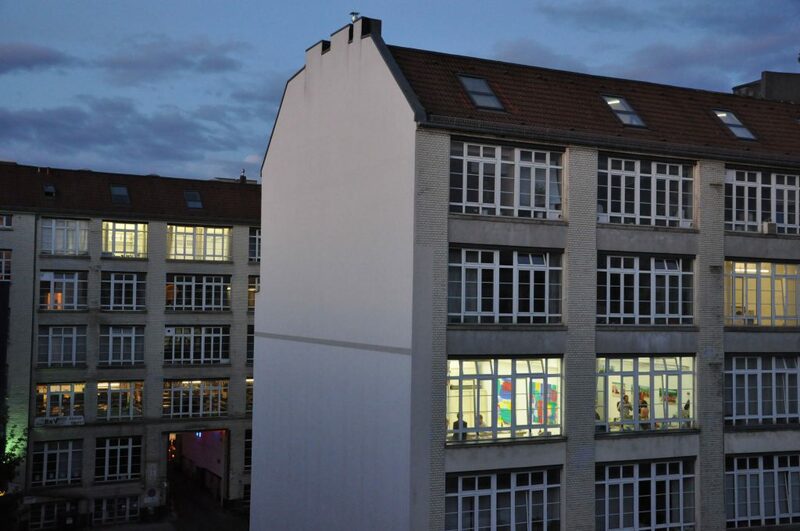 The next space we will talk about is Kleine Humboldt Galerie, founded in 1978 by members of datacenter of Humboldt University and Berlin-based artists. It was born with the aim of providing a platform for the visibility of artists who did not receive any kind of financing from the government of the GDR. Kleine Humboldt Galerie (KHG) is a student-run initiative and presents bi-annual art exhibitions at Humboldt University. Concerns that are addressed primarily in these exhibitions are related to current political and social issues. The exhibition space is located in the atrium of the university’s main building. 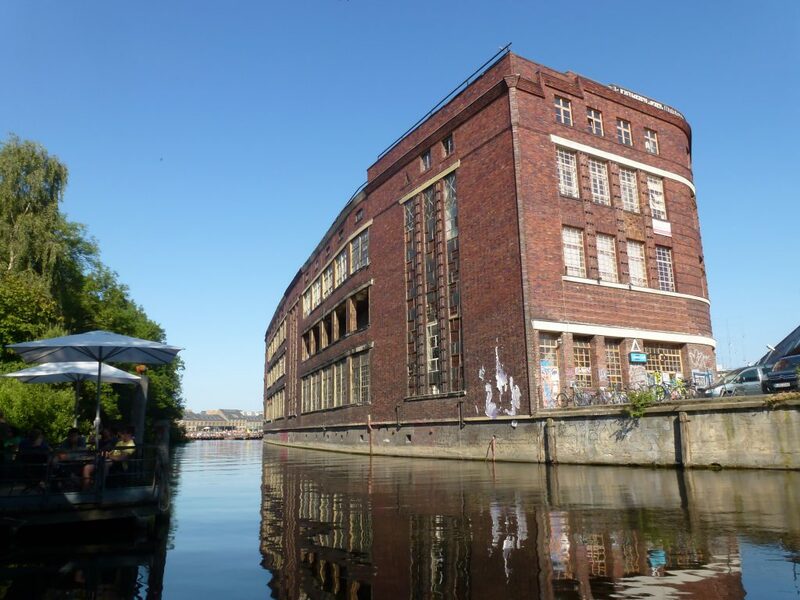 HB55 Kunstfabrik is a large historic building that currently offers a diversity of spaces to develop different artistic disciplines. In its 7000 m², you will find around 300 artists studios, workshops, spaces for exhibitions for any creative person who has an idea how to use them. HB55 is the perfect place to develop your artistic activity while you are in contact with the creative community. Sometimes extreme situations give rise to new fields of action. This is the case of ACUD MACHT NEU, which emerged in 2014 in an attempt to recover Kunsthaus ACUD from bankruptcy. This space has three main action spaces: Studio, Club and Gallery, where interdisciplinary projects from disciplines like art, music, performance and digital media coexist. 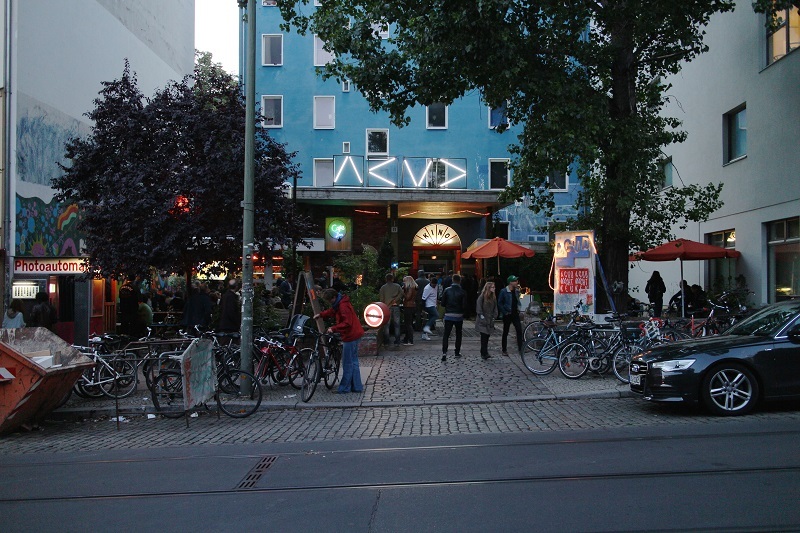 This convergence between disciplines makes ACUD MACHT NEU a dynamic place with a unique atmosphere and excellent offer of events. The area where Kunst in den Gerichtshöfen was established is known to be one of the places with the most artistic tradition and a large number of good studios. 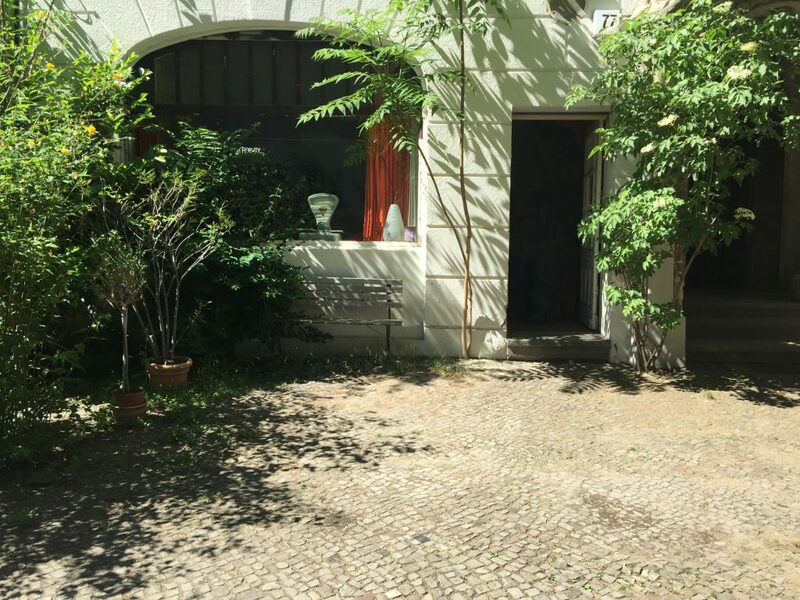 In 2004, thanks to these local circumstances, Kunst in den Gerichtshöfen emerged, a non-profit and non-commercial initiative launched by Berlin-based artists with the aim of making the courts available to neighbors, artists and art enthusiasts. This place of exchange, besides offering a very varied program of events and having some own festivals, is a good option for those artists who don’t find their place in the circuit of galleries. You don’t need to be a member to participate in the activities, meet the artists, use the workshops or visit the exhibitions of the artists who work there. It is definitely a friendly place for the exchange of multidisciplinary artistic experiences between the walls of the tribunals. Ufer Studios is housed in a former maintenance facility of the BVG Wedding, Berlin’s public transport company. Before its official inauguration in 2010, a reform of this industrial-style building converted the garages into fourteen large studios, as well as offices and workshops. Ufer Studios has since offered choreographers, dancers, and other artists a space to develop their practices where participation and openness are the leading values. Studios, a media library, a communal kitchen and spacious courtyard are all available for public rehearsal, lectures, workshops, performances, or just taking a relaxing break from work. Funkhaus is part of the Funkhaus Berlin Nalepastraße building complex in Oberschöneweide. The radio of the GDR had its headquarters here from 1956 until 1990. 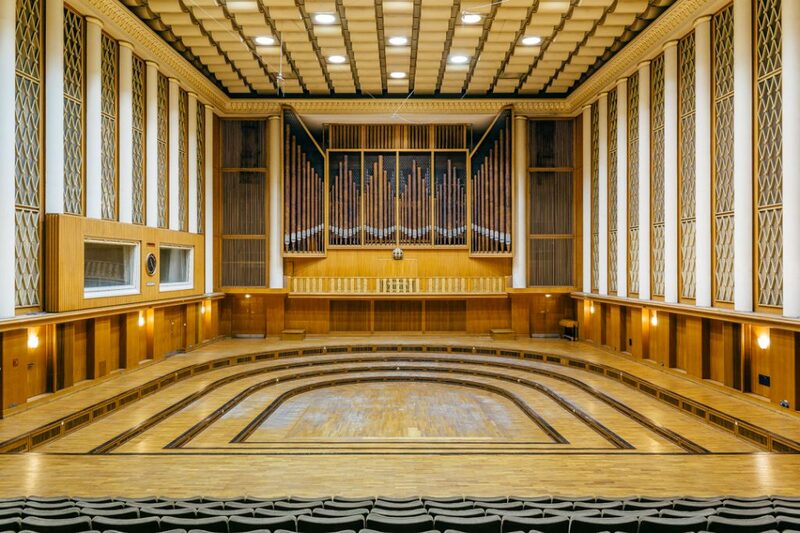 The Funkhaus already contains one of the worlds best-recording studios and will soon be the center for music and creatives in Europe. 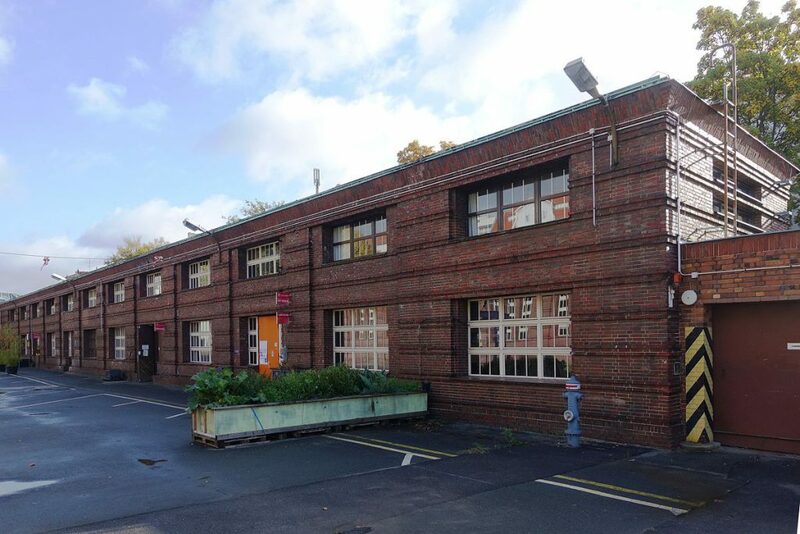 Funkhaus has various spaces ranging from the unique Saal 1 to the 9000 capacity venue ‘Shedhalle’ used for concerts, expositions, markets, fairs, and conferences, as well as other areas for private music & artistic production as well as co-working spaces. Musicians, editors, designers, painters, concert organizers, among other professions, have here their space to develop their work. The Schaufenster is an art space in Berlin-Kreuzberg. 25 meters of a wall to hang your works and a window front. Initiated and curated by the musician Jan “Yaneq” Kage, this place has established itself as a forum for quality and communication, stylistic diversity, and interdisciplinary cooperation. The PARTY ARTY sessions held at Schaufenster hybridize different art forms. These sessions usually combine club music, fine arts, poetry, and performance. The result is always unexpected. Founded by Stefanie Seidl in June 2010. 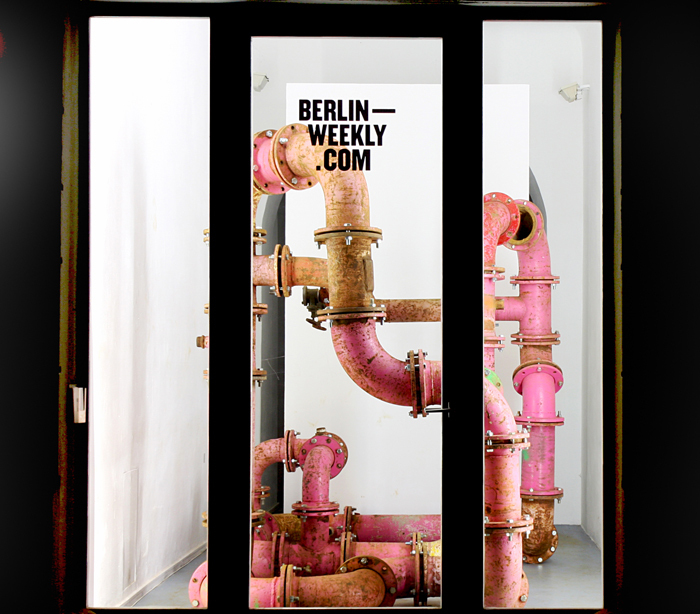 Berlin-weekly.com platform offers an interdisciplinary playground and stage for innovative artists and designers, giving them the opportunity to show their work in one of the most frequented areas in art, the Berlin-Mitte neighborhood in which many renowned galleries have their seat. It offers a window as a presentation space that works as a teaser for the webpage where the public can learn more about the Berlin-weekly.com artists. Kule (short for Kunst und Leben / Art and Life) is a non-profit cultural organization located on Auguststr. in Berlin-Mitte. 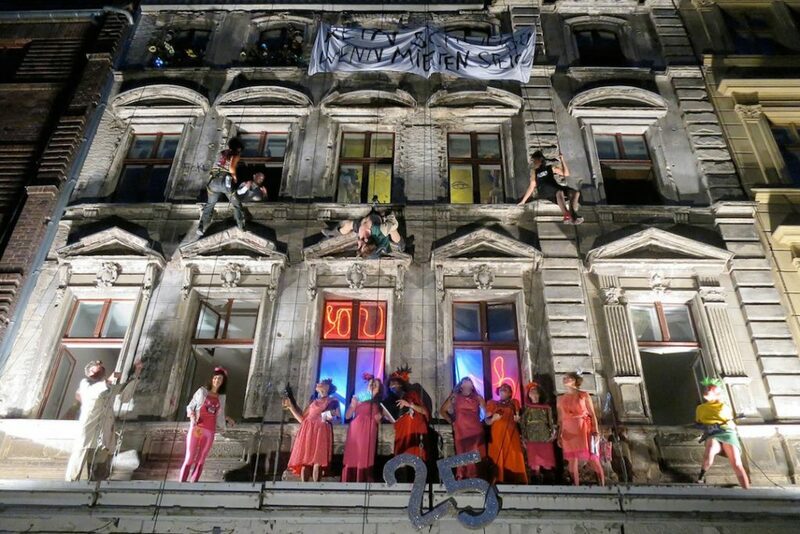 This house born thanks to the initiative of couple “West Berlin” art students, shortly after the fall of the Berlin Wall. 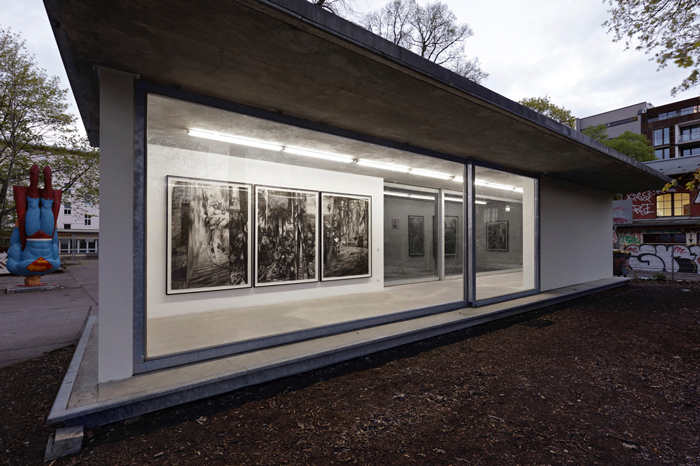 After receiving funding from the Berlin Senate, the house was renovated to accommodate artists and was also provided with an art exhibition space, a theater, and a façade gallery. For 26 years, Kule community has been working on very diverse artistic practices including visual art, contemporary dance, art history, philosophy, theater, experimental and electronic music. Flutgraben is a non-profit, self-organizing, art-association housed in a big building that formerly belonged to the East Berlin transport system. Its 3900 square meters provide around 50 studios in which more than 80 artists from all over the world and from many different disciplines develop their work. It also has several common spaces for holding all kinds of events. 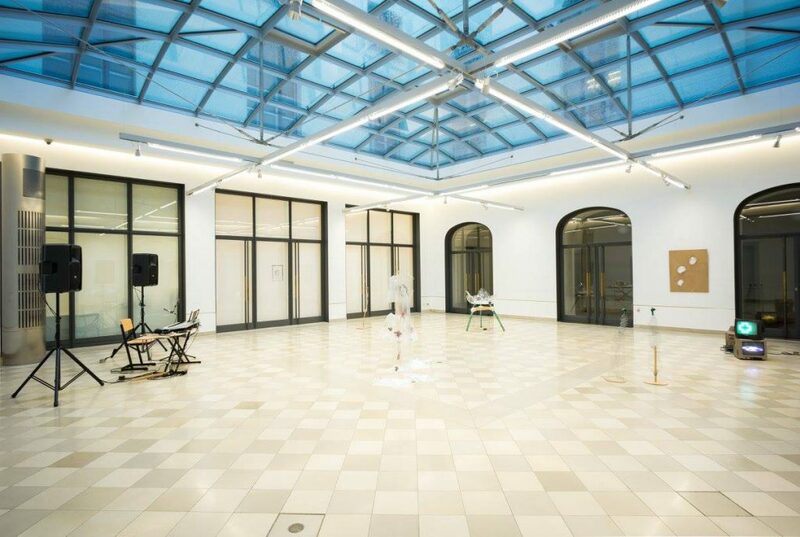 The Galerie im Turm was founded in 1965 as the exhibition venue of the VBKD (Association of the Visual Artists of the GDR) and has been located on the ground floor of the North Tower designed by Henselmann at the Frankfurt Gate for 50 years. Since 1990 functions as one of the 29 district galleries in Berlin (KGB). Currently, Galerie in Turm offers contemporary art exhibitions, mainly focused on individual exhibitions of Berlin-based artists. 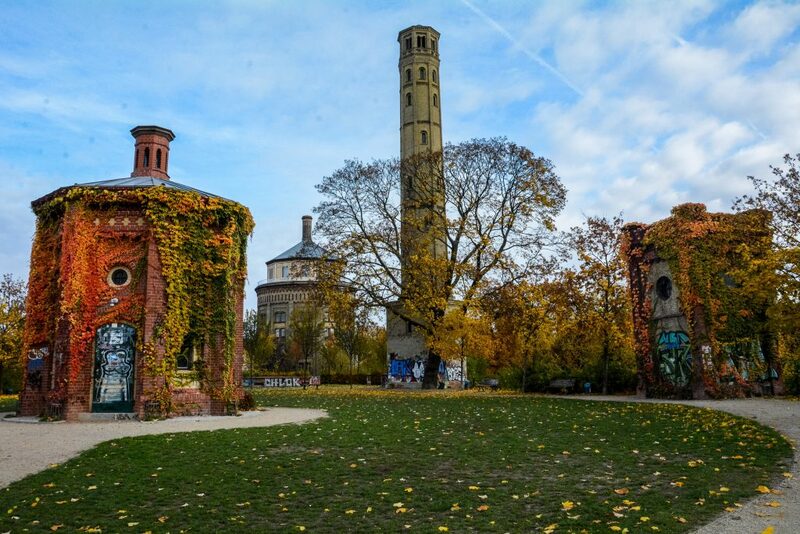 This water tower has played the most diverse functions over the years, from the house of the machinists of the tower to concentration camp in the Nazi period. After several renovations, its underground is currently used as an art installation and exhibition space. Espace Surplus was founded in September 2006 by Bettina Springer in her apartment in the Knaackstrasse. The main character of the work of Espace Surplus is the “site-specific-art”. The name alludes to the double use of the rooms – home and at the same time Showroom and therefore implies the actual opposite of an excess space. In this sense, one can understand “Espace Surplus” as the relativity of space, connected with the appeal to create spaces and to acquire them anywhere and anytime. 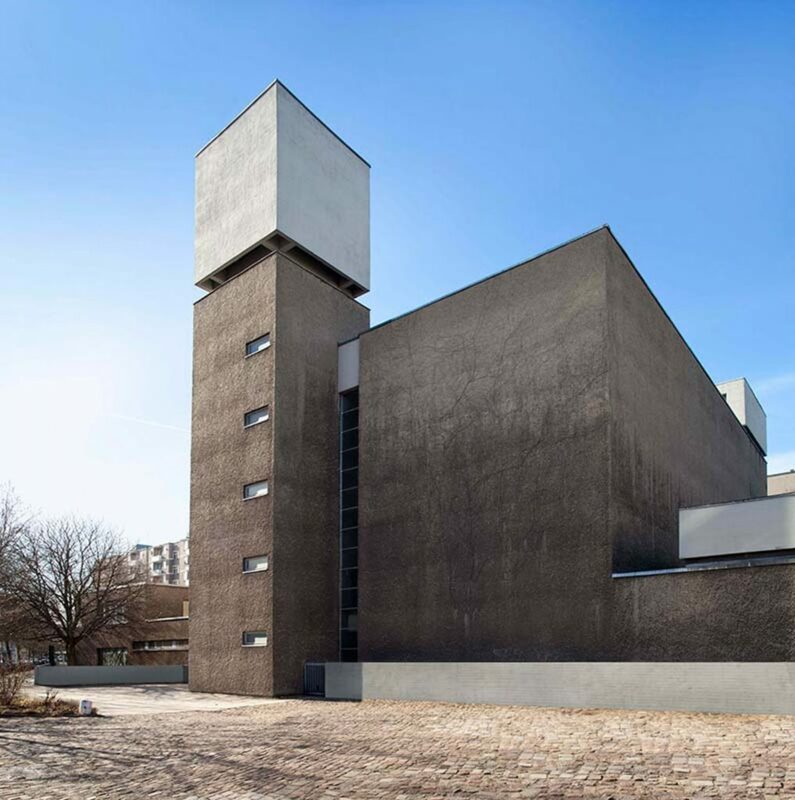 St. Agnes is a former Brutalist style church built by the German architect Werner Düttmann, the director of urban development of West Berlin, that was re-designed by Arno Brandlhuber to became the König Galerie in 2015. The restored space also houses a variety of commercial tenants (a magazine, an architecture firm, and New York University’s Berlin office to name a few), private apartments, and a new restaurant. This small and experimental building designed by Anna Partnheimer and Carl Zillich in 2008, has been the host of numerous proposals of contemporary artists. Designed in a collaborative process by artists from the art studio community Milchhof served for solo and duo exhibitions. Because of its two glass walls exhibitions are on view for passerby and visitors 24/7. The Bärenzwinger (bear pit) accommodated several generations of Berlin’s heraldic animals for almost eight decades. After the last living bear died in 2015, the culturally and historically significant place become in 2017 a platform for collaborative learning, research, and exploration for artists and cultural practitioners. 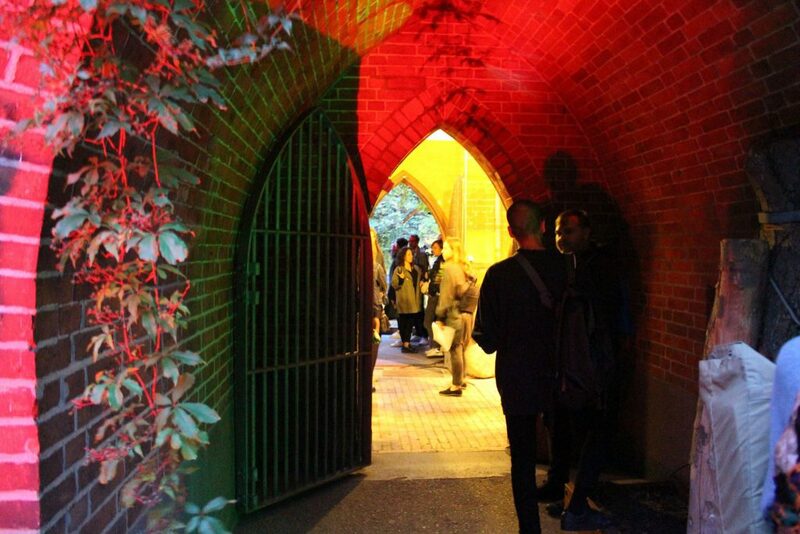 Artistic and curatorial projects are now set to reflect the history and particularities of the former bear enclosure, as well as current urban-cultural themes. 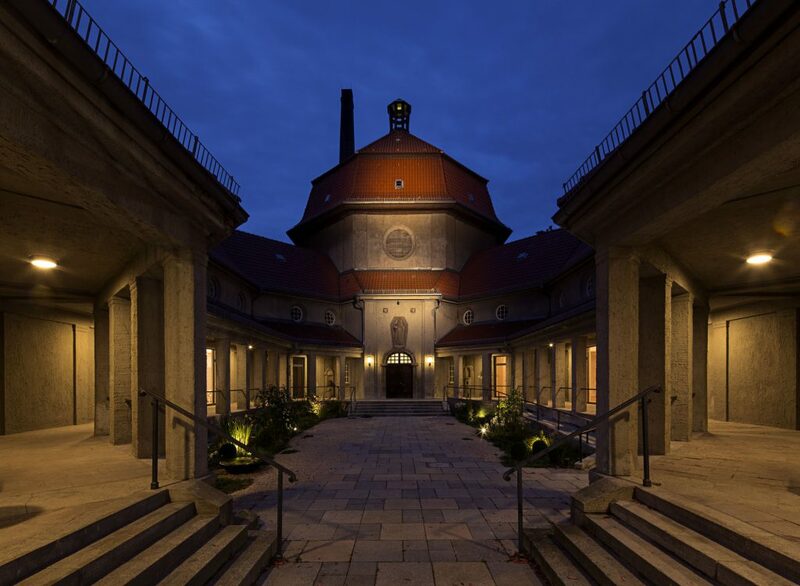 The interior space, as well as the open space of the historical monument by Berlin architect Georg Lorenz, became open to the public for the first time.